The objective of this term paper is to analysis Marketing Strategy Premier Bank. Report also focus on Marketing Analysis of this bank. 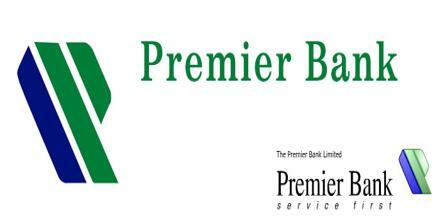 Other objectives are to know about the market demands and the market opportunities of the Premier Bank Limited. Structures to acquire an overview of the organization’s system and also to study its performance along with other business affairs and lastly, to have information to build the company’s Marketing Strategy through Marketing Analysis. The broad objective of the report is to know about the market demands and the market opportunities of The Premier Bank Ltd., Principal Branch. Both primary and secondary sources are used in the collection of information for preparing this report. In THE Premier Bank LTD., we routed through each of the departments and spent few days according to the schedule given at the beginning of this report. We interviewed managers and officers of the relevant departments and observed their activities. Every now and then engaged in conversation with the management. This is basically how we gathered information through sources. We also went through relevant manual reports of THE Premier Bank LTD. for collecting information. In the market Structure, the first step is need and which is financing. The main job of the bank is to fulfill the financial need in the economy and the own financial need as well. 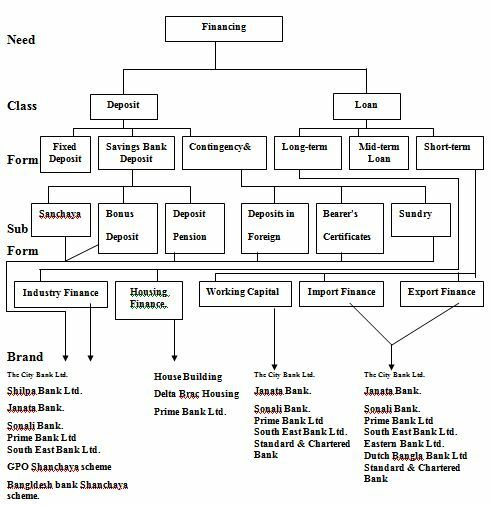 To fulfill the stated needs the bank usually goes through two processes or classes. They are: Deposit and Loan. Through Deposit the bank fulfill theirs’ own needs. They collect money from Depositors promising them to give a certain interest rate and lend this money to the creditor at a higher interest rate. The difference between two is there income. Besides that they have other incomes as service charges providing different services to the clients. The deposit has three forms in THE CITY BANK LTD. like Fixed deposit, Savings bank deposit and Current & Contingency deposit considering the time. Three types of loans are also formed in THE CITY BANK LTD. considering the time. They are shown in the figure. The interest rates also vary according to the time a higher rate has to be paid for long-term loans rather than mid- term and short-term loans. The same are happened between mid-term loans short-term loans as well. In figure-1, Sub Form shows how different types of deposits and Loans are made through different sectors. Finally, Brand represents the competitors in the figure. Deciders: People who decide on service requirements or on providers. The Governing body of any large organization, Managing Director of Mid-level organizations and Sole proprietor of small organizations are the deciders of the companies. Buyers: The Accounts Officers, Employees, House-wives (sometimes). Manly the city bank working hour is Sunday to Thursday 9.00 am to 5.00 pm; Friday and Sat day holiday. The City Bank Ltd. has gained reputation through clean and posh interior design of lay out. It also provides prompt services with higher degree of secrecy. It has a good management team and disciplined work force.